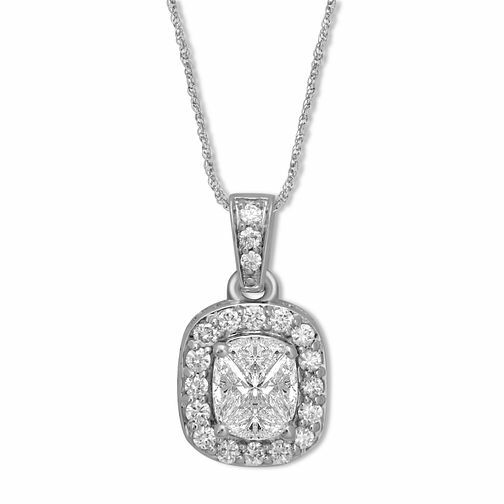 A delicate 18ct white gold chain, set with a lavish pendant. A cluster of diamonds in a cushion shape are surrounded by a halo of round cut diamonds, hanging from a diamond set bale. Sophisticated glamour for all occasions. Beautifully elegant diamond wedding jewellery.